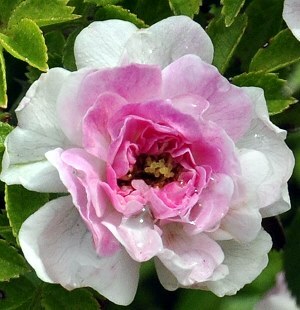 This miniature Scotch rose is a must have for spring bloom. 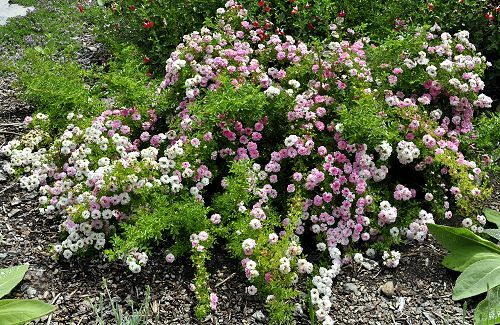 Covered in quarter size flowers that are white, pale pink, dark pink and every shade of pink in between this little rose is a true show stopper. The tiny vibrant green leaves are beautiful when the plant is not in bloom. Petite Pink Scotch rose arches it stems outward until they finally fall to the ground or on each other. The plant above is almost 20 years old and at its peak is barely two feet in height. It is about five feet in diameter but would be much wider if it were not maintained. It makes a great ground cover where you don't want someone mucking about! 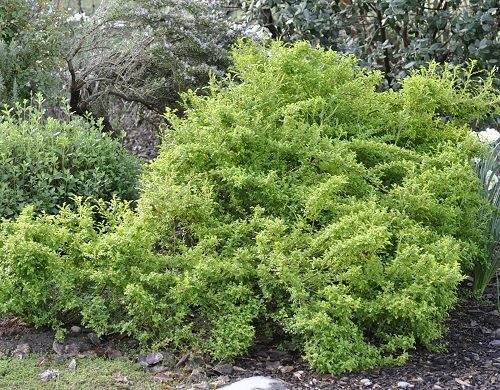 Below is a picture of the shrub in early spring adding its vibrant foliage to the garden.